Are you struggling with sinus issues and looking for a holistic approach to managing your symptoms? Essential oils are perfect to help. This article discusses the best essential oils for congestion and general sinus health to help you heal from within. Why is respiratory health important? Breathing has two major functions: to supply the body with oxygen and to expel toxins from the body. Our body demands oxygen, and a steady supply supports the health of the brain, nerves, other organs, and more. Our brains require the most energy of all of the body’s organs. The brain is the powerhouse of the body, so decreased oxygen will have a total body affect. To help combat respiratory difficulties, aromatherapy can be used with bountiful results and benefits. If your sinuses are acting up, be it because of an infection, allergies, or congestion, it can affect many different aspects of your life. Sinus problems can cause pain in various areas around your face and neck, making it difficult to breathe, and even making it difficult to speak. It can be hard to get on with your day and get done what you need to get done with sinus irritation getting in the way. Through this article, we’ll explain how essential oils can help minimize your sinus problems and get you feeling back to normal. How can essential oils help with your sinus health? Which essential oils should you use to help your sinuses? Aromatherapy and the use of healing essential oils originate from ancient times in Eastern culture, but have since found a contemporary western application. Aromatherapy uses essential oils to stimulate our sense of smell. This smell then triggers a connection with matching memories and emotions of the brain. This is also known as the olfactory system communicating with the limbic system. Aromatherapists believe stimulating particular memories or emotions with essential oils has endless healing powers. Think of a time when a certain smell conjured up a sweet childhood memory or another made you wince because it is a reminder of something unsavory. This is because our sense of smell has the power to revive memories associated with a certain scent, and it can stir us and transform our moods. It can also be therapeutic in nature when the right scent reaches that sense. The healing oils used in aromatherapy are produced from organic substances like flowers, herbs, bark, leaves, and more. These organic materials are extracted and distilled into essential oils. 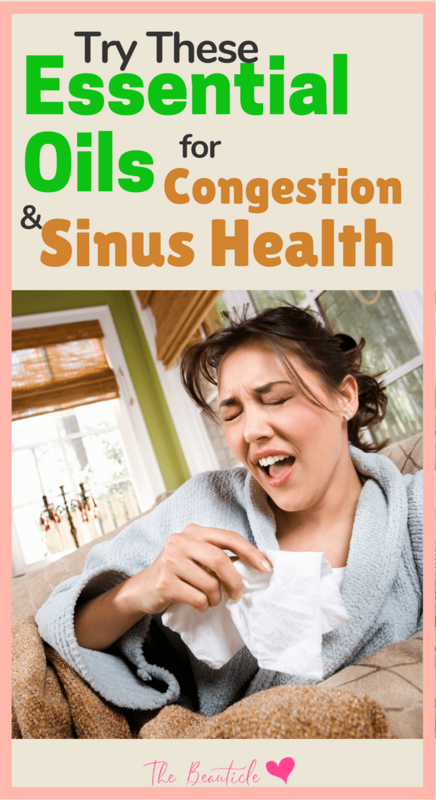 You can use this holistic health approach when treating sinus and breathing conditions. Certain essential oils contain ingredients that can help to minimize many of the symptoms caused by a sinus infection or irritation. These oils can help to minimize congestion, pain, and the irritation from these issues. There are a number of ways to use these essential oils as treatment, which we will get into in the next section. Make sure to do your research, however, and know which oils are right to treat your problem so you don’t waste any time or money. 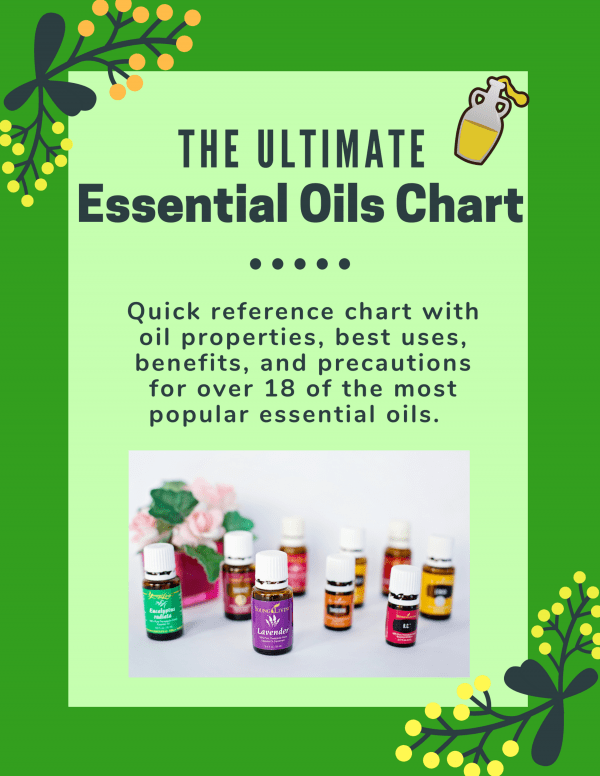 Our Essential Oils Uses Chart is a great tool to have on hand to use as an essential oil quick reference guide. In this guide, you’ll quickly be able to see what the benefits and uses are of an oil, how to best apply it and what safety precautions are recommended. Get yours now! 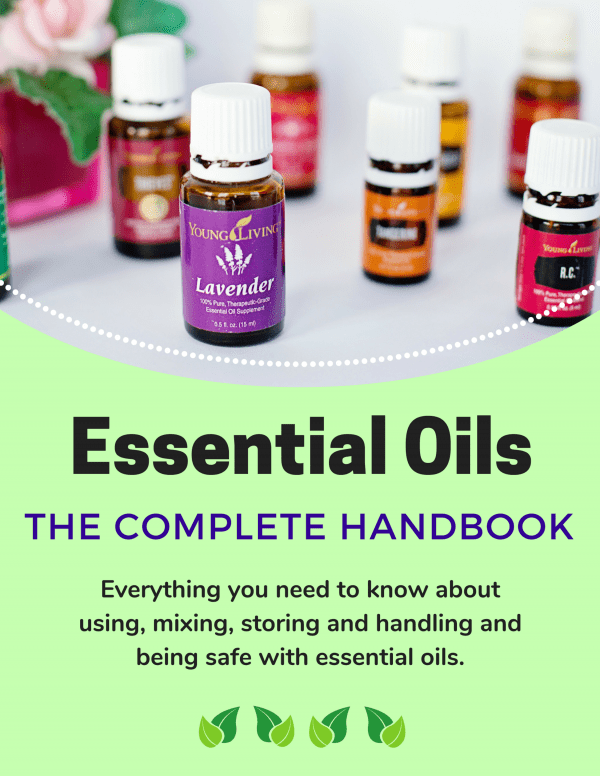 There are a few ways you can receive the full effect of your essential oils. One way is to use a humidifier by placing about 25 to 30 drops of the essential oil of your choice into it and keeping it in the room with you. This is probably the easiest method. You could also place about five drops in a half cup of water and use a diffuser. For this method, you’ll need to sit close to the diffuser and breathe deeply for as long as you need the oils. You could also put about ten drops on a sponge and let it soak in the tub with you. There are many options for how you can use your oils to get their full health benefits. There are many essential oils that have been reported to help with sinus irritation, congestion, and infection. • Lavender can provide relief from congestion, reduce inflammation, and can help you fight off a sinus infection. • Peppermint can help you fight off the infection and has anti-viral, anti-inflammatory, and anti-bacterial properties. Peppermint essential oil will also aid with congestion and headaches. The antiseptic and anti-inflammatory effects of the mint allow for breathing that is more comfortable as the mint opens the sinuses. effect, the cool and minty aroma soothes the entire system. • Chamomile can also help as it contains properties that are antiseptic, sedative, and anti-allergic. • Clove essential oil can help to treat a lot of different respiratory problems which can include sinus infections; it also has a soothing effect on your nasal passage which can offer a cooling sensation to your sore or irritated nasal cavity. • Oregano oil also offers relief from sinus infections; the steam treatment works best for oregano. • Sweet basil and rosemary can also help you fight off sinus infections and can help with headaches as well. • Eucalyptus is commonly used by many to clear congestion and fight inflammation. It can be applied to help with mucus build-up and the opening up the respiratory system. Increased circulation has also been noted with eucalyptus use, allowing for the better oxygenation of blood. • Rosemary has been shown to have similar effects as eucalyptus. It can be used to help open up respiration, clear up congestion, fight inflammation, and improve blood flow. Rosemary is a more mild option than use of eucalyptus, making it gentle enough for a young child or for remedying minor ailments. • Wintergreen is another mint oil, with very similar effects as peppermint. Applying wintergreen will have an anti-inflammatory and stimulating effect. With mint oils, your breathing passages will be open and soothed. • Melaleuca has antiviral, antibacterial, and antifungal qualities. It is often called the “miracle oil.” Use this versatile essential oil to fight off respiratory illness in conjunction with a comforting effect. A natural treatment for your sinus infection, congestion, or irritation can be a lot more appealing to people due to its lack of side effects and unwanted chemicals. Aromatherapy can be extremely helpful in the treatment of your sinuses and breathing concerns. Explore the many different types of oils, and decide what is best for you and your personal needs. With that knowledge, you will be ready to apply essential oils through inhalation, massage, and ingestion. You will immediately benefit from a better body and lifestyle. Below we have outlined some common ailments and corresponding treatments. • Allergies: Apply 1-2 drops of chosen oil on the chest area and reflex points daily. This will help enliven your respiration and combat allergies. • Cough: Diffuse oil or blend of oils into space around you. Also, apply to chest several times a day to comfort cough. • Emphysema: Use oil to massage over the chest and throat at least twice daily. • Nasal congestion: Massage a small amount of oil under the sinuses and nose to invigorate breathing. You should dilute the oil with water and be cautious of your eyes. • Respiratory infection: Liberally massage oil over chest and throat at least two times a day. Also, apply oil onto the feet’s reflex points. Sinus problems can affect many aspects of your life and just make it harder for you to get done what you need to get done in your day. By using essential oils, you can treat your sinus symptoms and help to shorten your recovery time. Sinus and breathing ailments are rather common especially with changing seasons and allergies. In order to keep your brain and body functioning optimally, you can take certain steps to better your breathing. Explore some of the suggested essential oils and formulate the best routine for you. With the right oil or combination of oils, you can improve your respiration and overall health.